In the society of today, safety, privacy and security are some of the most important priorities as far as owning residential and business property is concerned. This is why among other measures, investing in a reliable gate for your yard or property’s compound is essential. How this important part of your property looks like will also have a significant impact on its overall outlook as part of aesthetics or exterior décor. Being a team of specialists and experienced professionals in the real-estate security industry, you can never go wrong when you depend on us for your commercial & residential gates, and other security features such as fences. 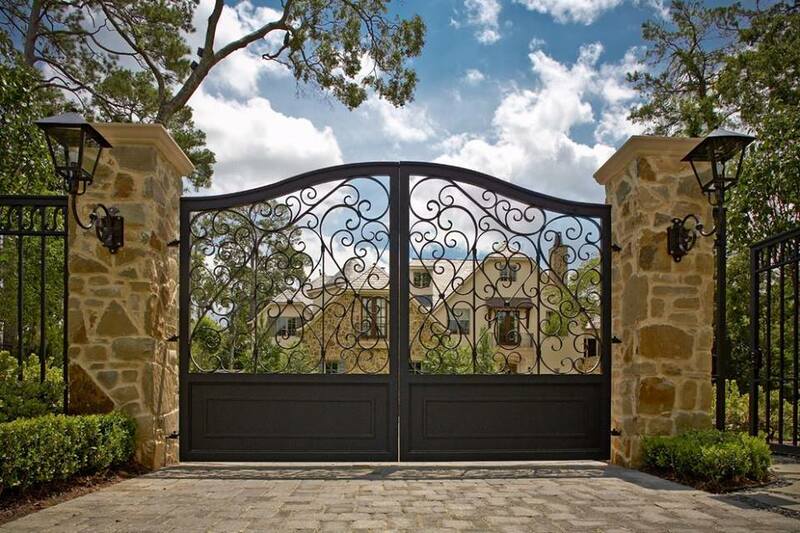 Among the most important factors to look at when choosing a commercial or residential gate are its strength, durability, size, design, and functional mechanism. Determining the entrance type or exit gate to install on your property can be a daunting task. This is one of the reasons why getting one from an experienced fence and gate installation services is highly advisable. If you are looking for a highly functional gate for your property and dependable commercial & residential gates, you are already home. Having been in the industry for dozens of years, we understand the needs of both our commercial and residential clients when it comes to gates. 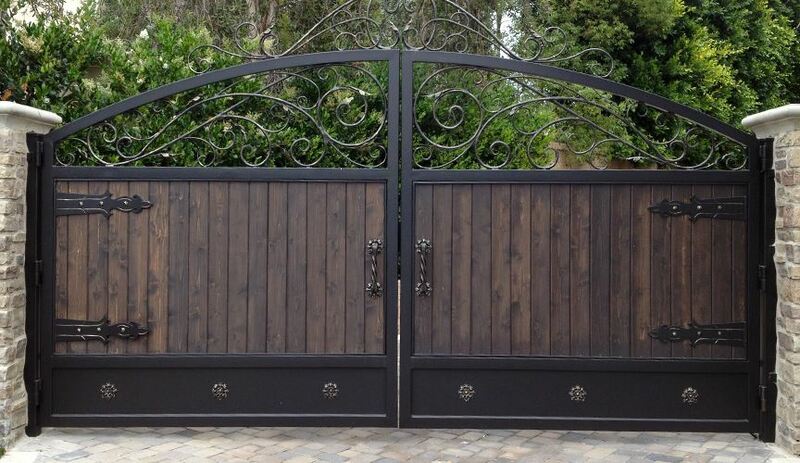 Based on the material of construction, you can rely on us for wooden gates, wrought iron security gates, aluminum gates and even other smaller entry doors such as driveway entrances. Wooden gates are made from high-quality timber that has been well seasoned, treated and well finished to ensure durability. Steel gates are known for their immense strength and satisfactory protection from unwelcomed individuals or security/privacy violators. Aluminum gates, on the other hand, are known for their lighter nature, durability, style and elegance. Wrought iron gates, which are made from an alloy of iron and carbon, are also another great alternative. Depending on your current needs, we are always looking forward to assisting you in making the right choice in case you get stuck. 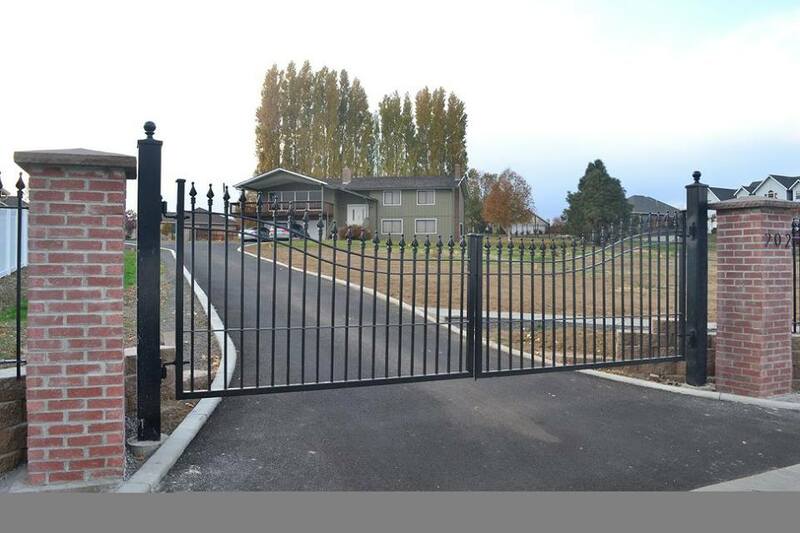 For both residential and business property, security gates are also available in varying designs and styles. You can also find them in a wide range of colors and sizes or have one custom designed to meet your requirements. With us, you have the liberty of choosing the one that suits your needs, including your budget since prices may vary depending on the specific size, material, and design. Our professionals can also help you with installation or repairs, whether or not you get your product from our Commercial & Residential Gates catalog. You can also depend on us for both manual and automatic gates and security doors, including swing gates, roller gates, electric gates, remote control gates, and much more. Automatic gates are better where operational efficiency, convenience, and speed are of larger concern. They also enhance security, since some such as electronic security code gates require you to have a key card or the passcode in order to gain entry. These are especially ideal for high-end luxury homes. Get a free estimate or more information about these and more types of security gates for your business or home. Call us today at 708-539-9164 or fill out our online request form from the contact page.